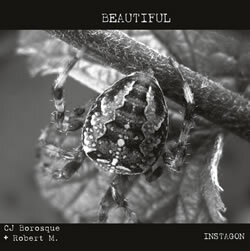 Beautiful by CJ Borosque + Robert M.
Robert M. has been active in the San Diego music scene for the past two decades as a percussionist, improviser and sound artist. In recent years, his work has focused on sample-based electronic music, creating complex, subtly-evolving soundscapes which can be heard on his eponymous solo release on the Accretions label and in his ensemble projects: Wormhole with long-time collaborator Marcos Fernandes and mrlectronic with Lisle Ellis and Fernandes. 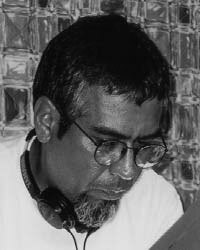 He is a founding member of Trummerflora, a musician's collective dedicated to creative music. A Tijuana native, he has performed in Japan, Hong Kong, Mexico and the U.S. He has performed and/or recorded with members of Trummerflora, the Nortec Collective, George Lewis, Le Quan Ninh, Mike Keneally, Ernesto Diaz-Infante, Rent Romus, Eric Glick Rieman, Michael Dessen, David Gould , CJ Borosque, and Ultra 7.